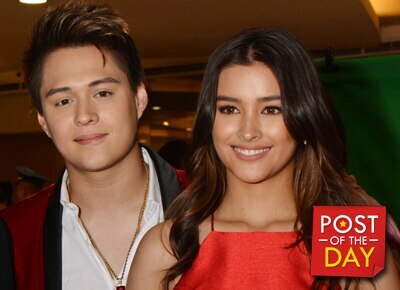 Enrique Gil pranked his rumored girlfriend Liza Soberano and posted it on Instagram. Aside from him and his followers, James Reid also found Liza’s reaction “priceless” and funny too. But before this, Enrique didn’t forget to make Liza happy on Valentine’s Day, the "My Ex and Whys" star posted photos of the blue roses he gave Liza. On the other hand, James and his girlfriend Nadine Lustre are in Japan.